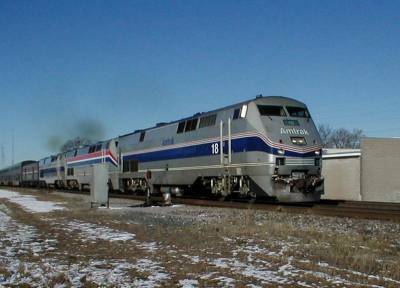 Amtrak was formed in 1971 and took over ailing passenger service from most U.S. railroads. 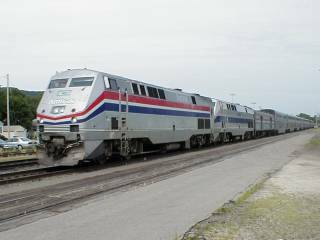 Amtrak's funding each year rests in the hands of the U.S. Congress. 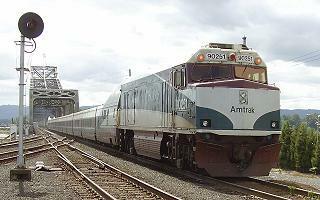 Amtrak 90320 at Centralia, WA, 8/5/02. This is a "Talgo" train. The lead unit is an unpowered ex-FP40 and a trailing F59PHI #468 (inset) unit is in "push" mode. Talgo cars have a tilt mechanism allowing them to "lean" into a curve. Amtrak 90251 unpowered ex-FP40 crossing the Columbia River at Vancouver, WA, 8/27/08. 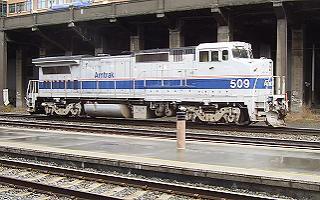 Amtrak 509 at Seattle, WA, 11/03/06. Amtrak 9800 "Surfliner" coach at San Diego, CA, 4/29/08. 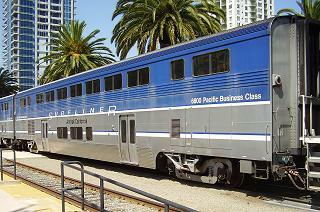 Amtrak's Surfliner runs between San Diego and San Luis Obispo, CA. 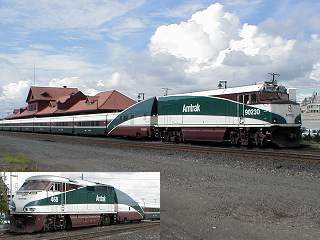 Amtrak 18 at Winona, MN, 12/02/00 in Phase-IV paint scheme. Amtrak 42 at Winona, MN, 7/06/01 in Phase-III paint scheme. 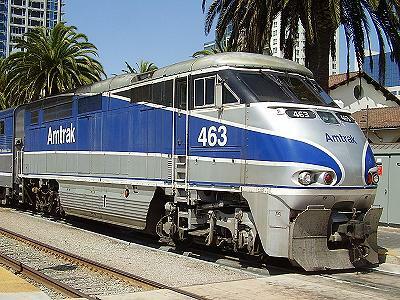 Amtrak 463 on the Surfliner at San Diego, CA, 4/29/08. Amtrak 315 at MPI in Boise, ID, 9/03/08. 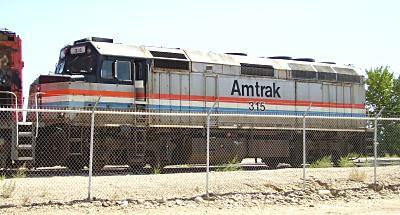 These rugged locomotives were the 1st purchased by Amtrak in the 1970's and served for 30 years. 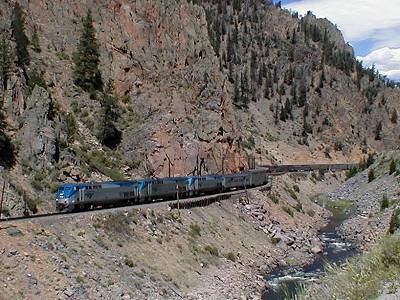 Amtrak 182 in Byers Canyon near Hot Sulfur Springs, CO, 8/8/02.